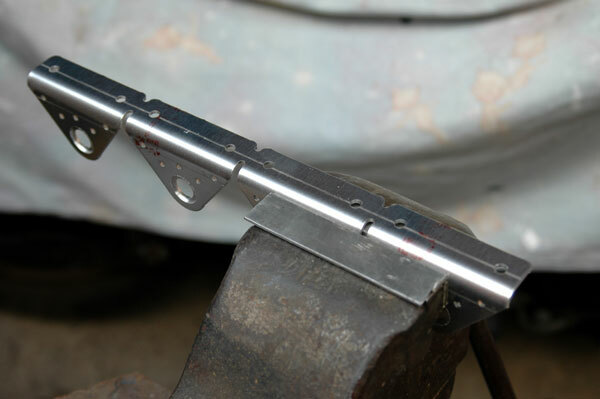 Construction of the Anti Servo Tabs. The only real difficulty we had with the anti servo tabs was trying to spray paint the primer on the inside surfaces without getting runs in the paint. There are a few runs in the paint, but they are all rivetted up, and no one will ever know that they are there!